365 Bond in Gowanus has a roof deck with grills, and it's high up enough (we hope) to be clear of the Gowanus Canal smell. It's easy to forget that New York City is surrounded by water when you're boxed in on all sides by tall buildings. 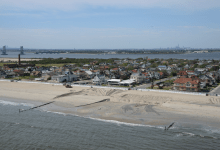 Typically you have to have an apartment close to the water–either right on the shore, or tall enough to see over the buildings that are—to get a glimpse from your home. But some of the city’s newer rental towers come with roof decks so high up that you can see a huge amount of the city, East River, harbor, and industrial inlets included. 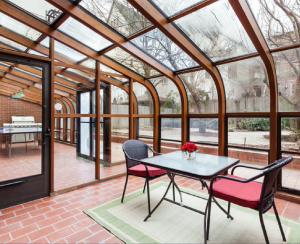 This kind of panoramic escape hatch could be worth paying a premium, to the right renter. 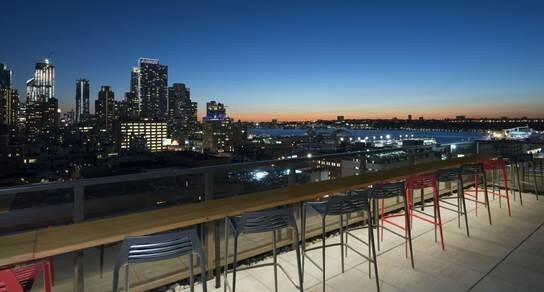 Here are 10 buildings all around the city where your monthly rent gets you some kind of rooftop water view. Rents are $3,900 for a one bedroom, up to $7,633 for a two bed, two bath. 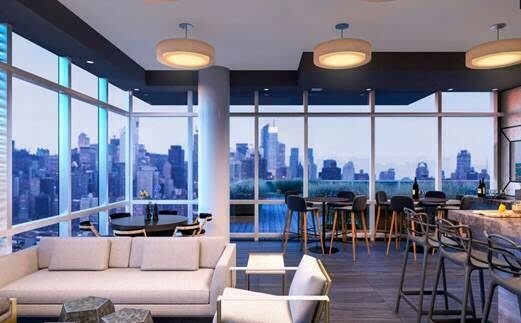 The roof level at 525 West 52nd St. has an indoor lounge, and a landscaped lawn and a sundeck with views of the Hudson River. 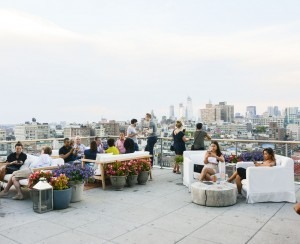 Residents can toast the sunset at wine tastings hosted by LIVunLtd, a luxury concierge service. Rents are $3,595 for a studio, up to $8,292 for a two bedroom, one-and-a-half bath. 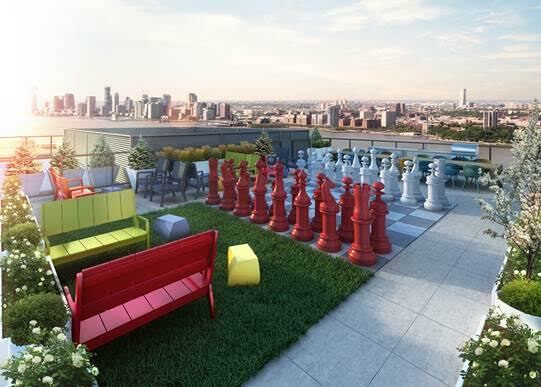 There are panoramic views of Chelsea and the Hudson River from this building’s landscaped roof deck, which can be used for sunbathing, barbecues, and apparently games of chess with giant pieces. Rents range from $4,910 for a one bedroom, to $8,620 for a two bedroom, two bath. The building overlooks the Hudson River, at the north end of Battery Park City. It was designed by starchitect Robert A. M. Stern. 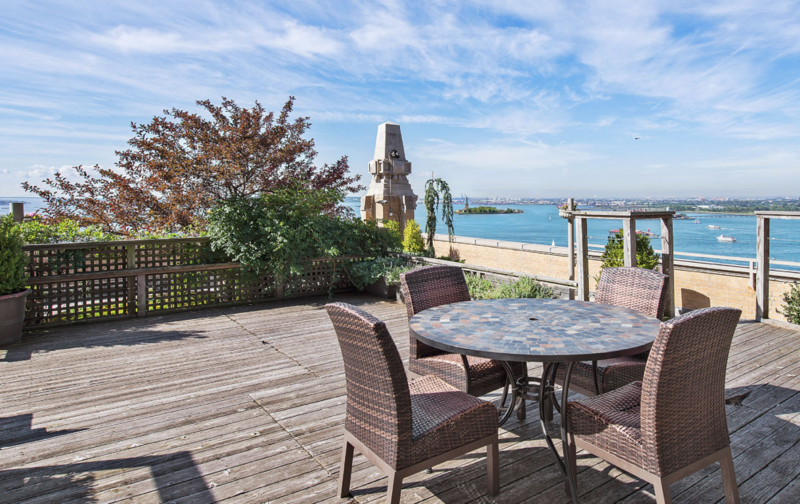 A sun terrace on the 19th floor has tanning chairs, lounge chairs, tables, and grills. Rents run from $4,100 for a studio to $5,778 for a two bedroom. This building, dubbed Ocean, is across from Battery Park, and the harbor views are spectacular. Rents start at $2,384 for a studio, and go up to to $7,792 for a three bedroom, two bath. These rents factor in concessions. This building has a roof deck overlooking the East River. The deck features a fireplace, grills, and communal lounge and dining areas. Rents start at $2,770 for a studio, and are up to $7,400 for a two bedroom. 365 Bond and 363 Bond, designed by Hill West Architects, sit next to a newly created waterfront esplanade along the Gowanus Canal, a federally designated Superfund toxic site undergoing a years-long cleanup. 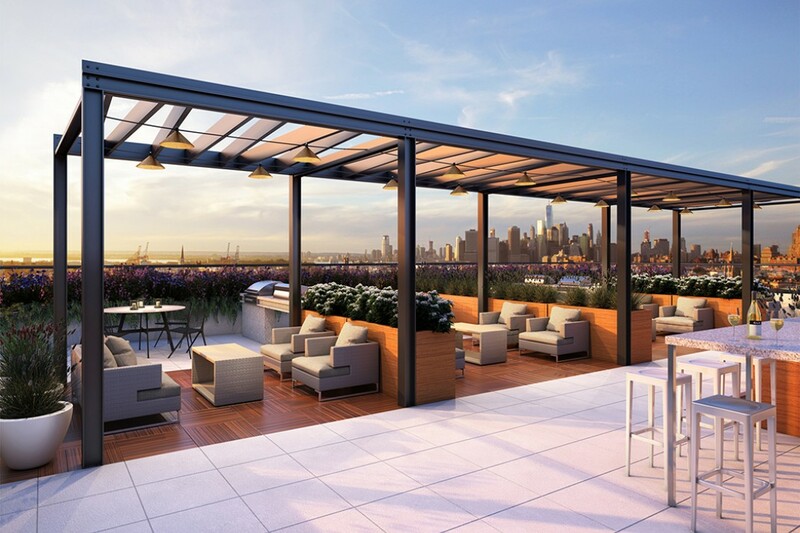 At 365 Bond, the rooftop terrace has grills, lounge areas, and a sundeck, while 363 Bond is home to a rooftop pool, shuffleboard courts, and a rooftop lawn. The roof decks provide glimpses of the city waterways beyond, and hopefully some reprieve from the ugly post-industrial reality below. 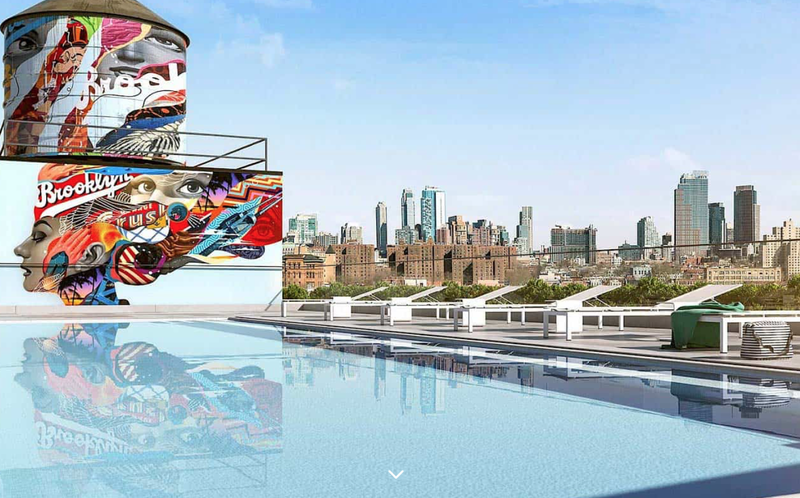 Tower 28 in Long Island City, designed by Hill West and Whitehall Interiors, will have a roof deck that can be opened in summer months via a Nanawall to the pool in the neighboring building. 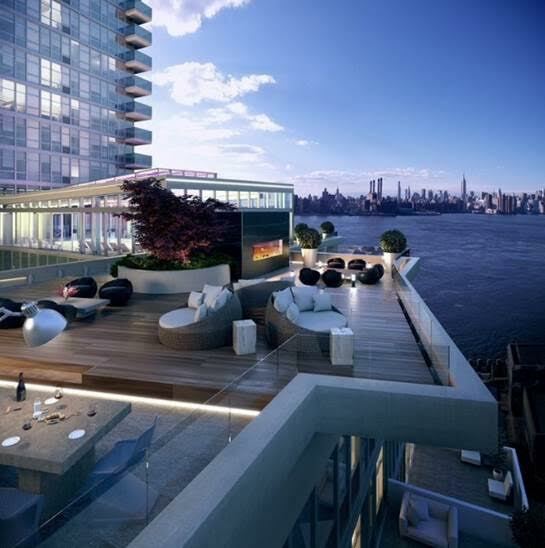 There will be views of the East River and Midtown Manhattan from the top-floor observation deck. Construction on the 58-story building topped out in April. 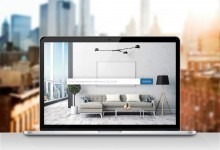 Rents run from $2,995 for a studio to $5,454 for a two bedroom. 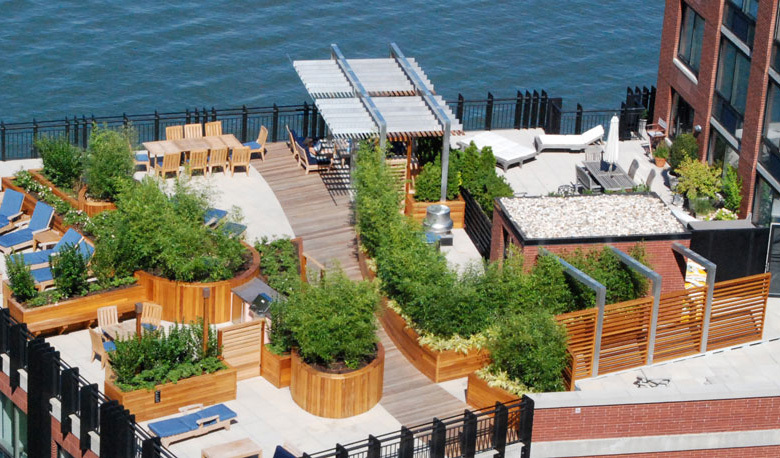 The landscaped roof deck at 60 Water St. in Dumbo is in line with the Brooklyn Bridge. 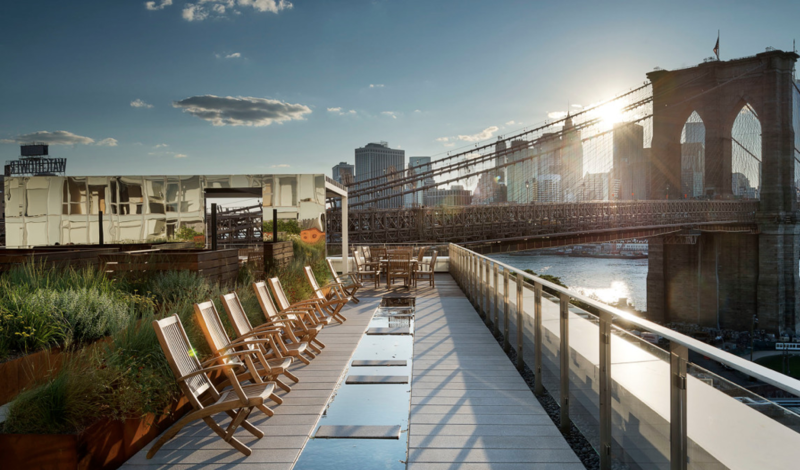 The building was designed by James Corner Field Operations, one of the designers of the High Line, so the team knows a bit about making an engaging outdoor experience. 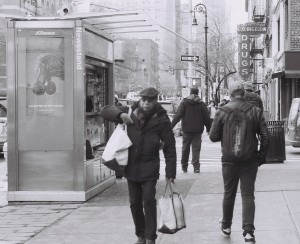 Rents range from $2,495 for a studio to $3,660 for a one bedroom, with one month free. Short-term leases are available. The landscaped roof terrace at this 42-story building on the Long Island City waterfront rises above the landmarked Pepsi-Cola sign in Gantry Plaza State Park. 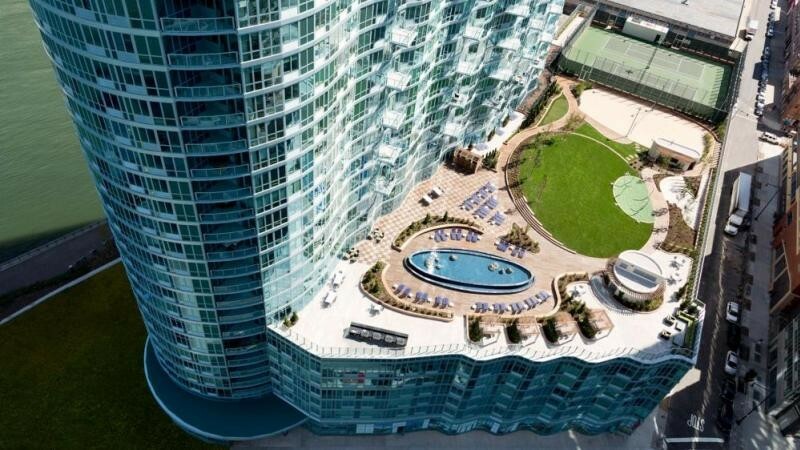 The building itself obscures much of the view, but residents availing themselves of a pool, a sun deck, and beach volleyball and tennis courts may be less than inclined to complain.